There are significant land-based wind resources in the Southeast, despite having little wind energy installed. 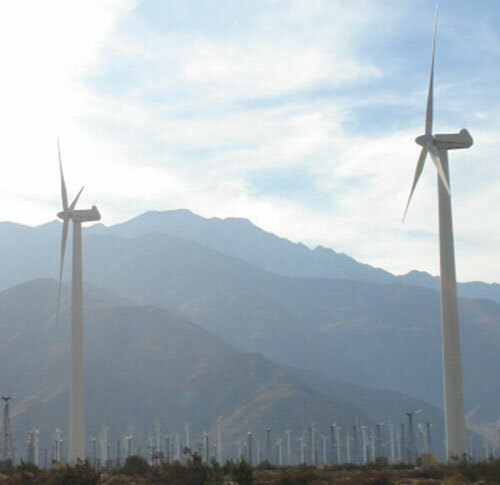 Technological advancements in taller towers and longer blades are opening up additional areas in the Southeast for wind development that were previously thought to be unviable by allowing developers to access faster wind speeds at higher heights. Land-based wind is a "here and now" option for wind development in the region and gaining experience with projects on land will help advance offshore wind, which is on a longer time horizon in the region. The Southeast can also benefit from land-based wind development in the Central Great Plains through wind imports from power purchase agreements. The Southeast has a 29 MW wind project at Buffalo Mountain in Tennessee and a 208 MW wind farm in northeast North Carolina. Amazon US Wind Farm East (formerly called Desert Wind) was developed by Avangrid Renewables in Pasquotank and Perquimans Counties in northeast North Carolina. The turbines will be located on private land leased by Avangrid and will result in millions in tax and landowner revenue over the 20-30 year lifetime of the project.The jobs and economic development generated by this project will build on the thousands of wind industry jobs already present in the state through the wind energy supply chain. In 2014, SEWC partnered with the National Renewable Energy Laboratory (NREL) to create custom maps and fact sheets that show viable areas for wind projects based on past, present and expected future turbine technologies. Wind turbine tower heights are increasing, with current hub heights up to 110 meters and projected to increase to 140 meters in five to ten years. Wind turbines were originally designed for the highest wind speed sites like the Great Plains and were not well-suited to some other regions. The combination of these technology changes is making wind energy more economically viable in frontier areas like the Southeast. SEWC land-based wind fact sheets can be found here.